When I was growing up we went to the doctor when we got sick. And when I say the doctor, I mean that there was only one. Whatever was wrong with us, we just saw the one guy. He took care of everything because that was his job. And you know what? We always got well. He knew how to treat everything, because he saw everything. And even better, he knew us. Have you noticed that hardly ever happens anymore? That your doctor actually knows you? Focusing on one area/system of the body is supposed to make doctors experts in their field. But are they becoming experts, or just developing a bad case of tunnel vision? I know it sounds like I’m bitter. I’m really not against specialty medicine. I understand the need for it, and I realize that all of these doctors have more intelligence and education than I’ll ever have. But as a patient, I have a disease that effects my whole body. These individual doctors that I see aren’t committed to improving my overall health and well-being. 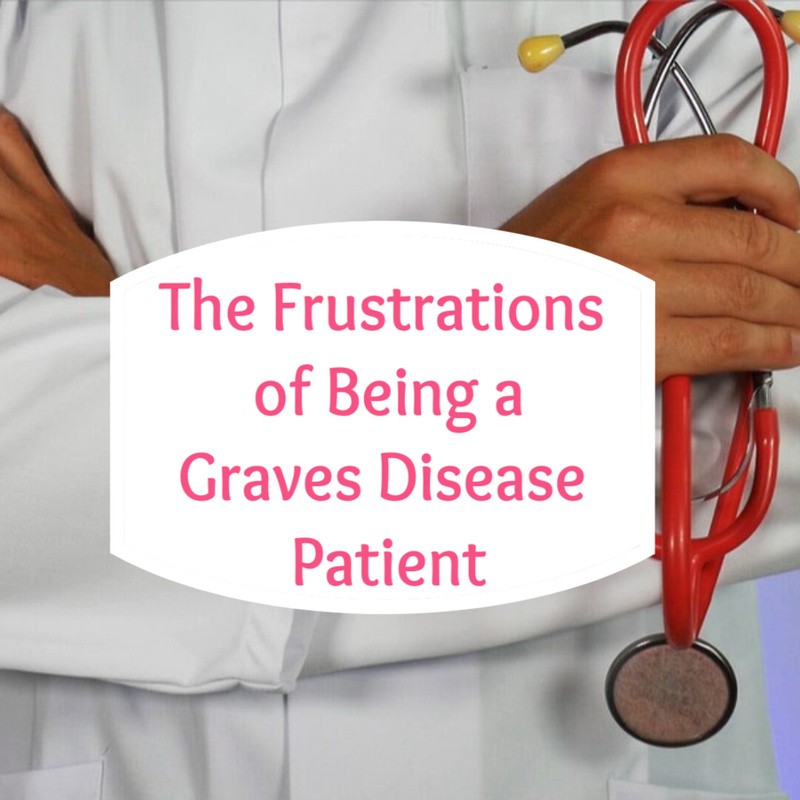 They’re only looking at my disease from the perspective of their own specialty. Do you have any idea how frustrating that is?! Your levels are in the normal range. I’ll see you in 6 months. So I’ll always have Graves, but none of my problems are because of Graves? ‘Yes. Your levels are in the normal range. I’ll see you in 6 months.’ She tells me that her job is to keep my thyroid hormone levels within the normal range, and she is doing that. Okay great, thank you for helping me expert specialist. Can you please tell me whose job is it to help me feel better? How do I get an appointment with that specialist? You have to stop eating Gluten. It’s inflammatory. This was my OBGYN. I was gluten free based on her advice for almost three years when I was first diagnosed. I never went into remission, I developed thyroid eye disease and I really didn’t notice feeling any better. So after my surgery, I went back on the gluten. Recently, after I complained to my Ophthalmologist (who specializes in Thyroid Eye Disease) that I was still feeling horrible a lot of the time, he suggested that I go gluten free. ‘Gluten is inflammatory and Graves loves inflammation’. Are you sure? I know my OBGYN believed in it. But my Endocrinologist completely disagreed. She said that gluten won’t make a difference unless I have an allergy or intolerance. His response was that it might not help, but ‘it can’t hurt’. So, where gluten is concerned I have three expert, specialist opinions. Stop eating gluten, don’t stop eating gluten, and maybe give it a try. I’m so glad we’re all on the same page here! These are just a couple of my most recent frustrations. If the Endocrinologist only focuses on my thyroid hormone levels. And the Ophthalmologist only focuses on my eyes. Where is the doctor that helps the whole rest of me? I’ll always be that person who follows my doctor’s advice, simply because I feel that they must know more than I do. But what do I do when they all have different opinions on the same thing, or no opinion to offer at all? It’s like they either radiate the thyroid or take it out, and then we’re on our own? Don’t get me wrong, I have good days. But if my ‘levels are within the normal range’, shouldn’t I feel good all the time? And if I don’t, shouldn’t someone know how to help? After reading this over, I realize it’s a bit of a downer. Since I haven’t posted in a while I thought about maybe saving it until I have something more uplifting . But then I thought, no. This is Graves and maybe someone else is out there now feeling just like me. If you are please know that even though I can’t help you, I can absolutely empathize. Sometimes it’s just comforting to know we’re not alone. Disclaimer: This post is based on my own personal experience. It is not intended as medical advice. It is not intended to diagnose, treat, cure or prevent any disease or medical condition.